Balance Knee Control is designed to offer a high level of stability for low active users, who typically use walking aids. It is intended to facilitate single-speed walking on level ground and gentle slopes, allowing the user to negotiate stairs* and small obstacles, as well as sit and/or kneel. Featuring proven Össur technology, Balance Knee Control offers a stable, yet more dynamic alternative to the Locking Knee. This single axis knee has a weight-activated friction brake that can be adjusted to suit the weight of individual users. 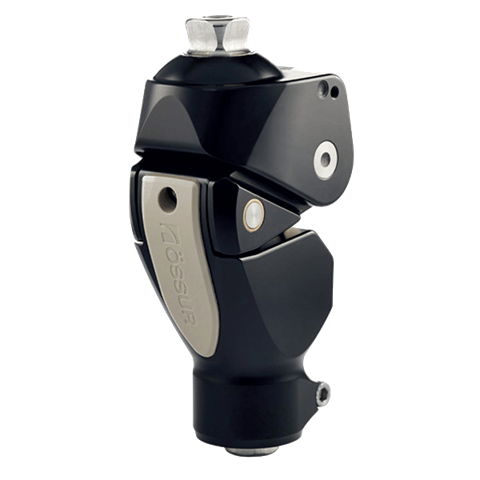 The knee also incorporates an extension assist, adjustable stance flexion and a manual lock for use as and when required. *The knee should only be used in full extension when negotiating stairs.